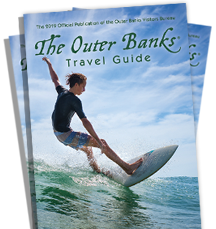 The Outer Banks Visitors Bureau, official destination marketing organization for Dare County, NC and its Outer Banks is one of the top tourism destinations in North Carolina as well as the East Coast of the United States. The Outer Banks or “OBX” is a chain of barrier islands that sweep way out into the Atlantic Ocean, and provide families all over the world with a natural setting for their ultimate vacation adventure. Please inquire within if you are interested in becoming part of the dynamic team running the Outer Banks Visitors Bureau.